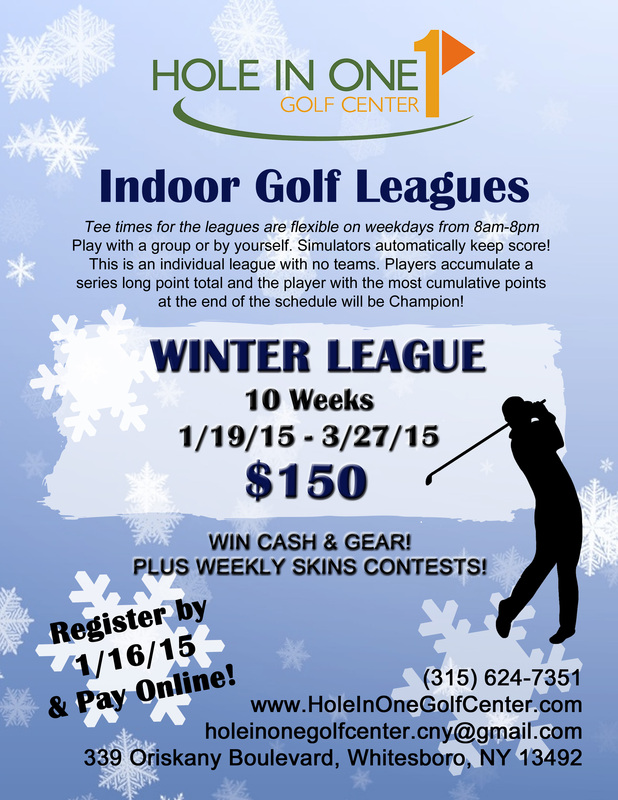 You have been successfully registered for the Winter 2014 Indoor Golf League at Hole In One Golf Center! The league begins the week of January 19. Please contact us to book your weekly tee time at 315-335-9485 or click here to book online. Your league fee is $150 and can be paid by cash or check at your first session or via paypal.